I'm linking up again with Farley's Currently! Listening - The Rose Bowl game is on! Love me some college football! Loving - My school district gets 3 weeks off for our winter break! Yes, you read that right - 3 WEEKS OFF! It's okay to be jelly! Yes - I am completing a Whole 30! Day 1 today! I wish - I could travel to Ireland! Wouldn't that be wonderful! YES, I am very jelly!! Three weeks off...so lucky!!! Can't wait to read more about the whole 30! Heading to check it out now! Hey there Kay! 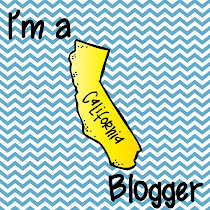 I found your blog via Farley's linky party. :) Yes, I am very, very, VERY jealous of your 3 week break! I would love that! Does your school year get extended at the end due to this large break?? I hope your headache goes away! I also very jelly of your long break. How wonderful! I too may or may not have started my day with 2 Excedrin and a bottle of Gatorade. Ireland was (is) my dream honeymoon location! Hubby and I joke that maybe by our 25th anniversary (we're only 6 months in now) we'll be able to afford that trip! I hope you enjoy your extra days off! Three weeks? Yes, I am very jelly! Enjoy every single moment and do all the online shopping you can! Amazon is my online Target…I can never just buy one thing (thank you for that increase to $35 for free shipping). I pretty much maintain about 100 items in my saved for later cart! There are just so many wonderful items to choose from!